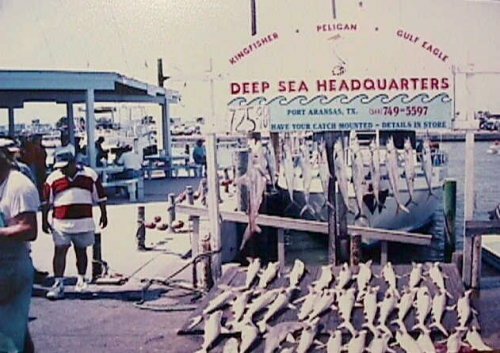 As you can see we're at Deep Sea Hq. 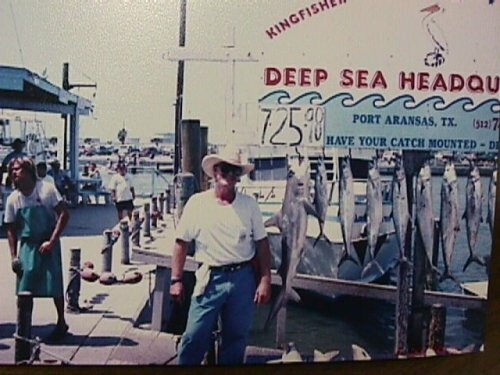 at Port Aransas Texas..My favorite charter. 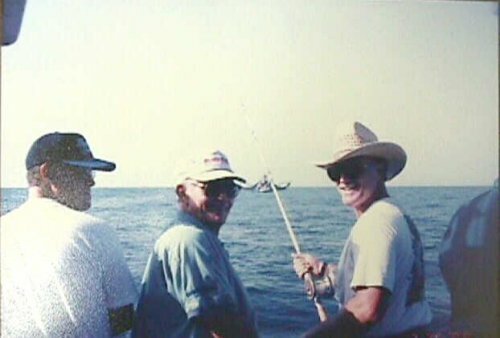 The mighty crew.. Robert, me and Neil..
Neil caught the first and biggest shark of the day.. A 30 lb. 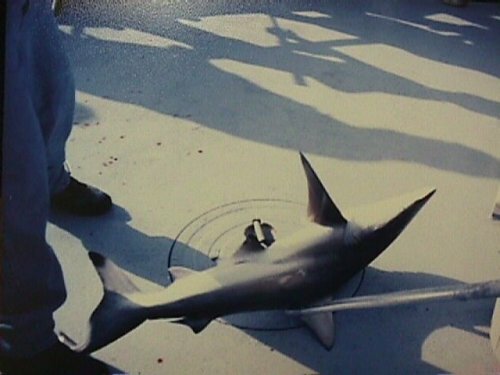 black tip. 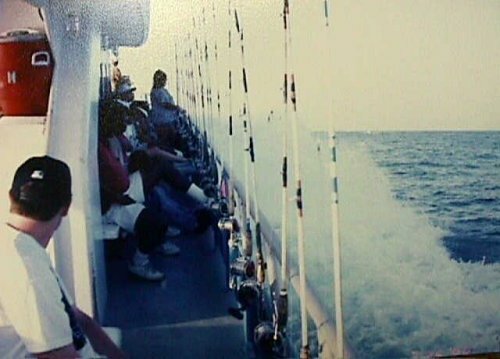 We drift fish from one side of the boat, it looks crowded but it's really not. And of course Neil had to show off with his big fish..